The Missouri Foundation for Bicycling and Walking operates the Missouri Safe Routes to School Network, which is part of the Safe Routes to School National Partnership's State Network Project. The State Network Project brings together state leaders to remove barriers to walking and bicycling to and from school. Safe Routes to School (SRTS) State Networks in nineteen states and DC are working to increase physical activity, ensure that federal SRTS funds are spent on quality projects, work to leverage additional state resources for SRTS initiatives, and advocate to remove barriers to walking and bicycling to schools through policy initiatives. States in the Network Project were chosen on a competitive basis. Missouri's SRTS Network formed in January 2010. Walk to School Day 2010 participation nearly triples: The number of Missouri schools report Walk to School Day events on the International Walk to School web site went from 15 in 2009 to 44 in 2010. Presentation to Missouri Planners: On October 6th, 2010, MoDOT Safe Routes to School Coordinator John Schaefer and Missouri SRTS Network Organizer Brent Hugh gave a joint presentation at the annual meeting of the Missouri Chapter of the American Association of Planners. School Bus Funding/Transportation Funding Formulas: The Action Team requested and received a detailed analysis of existing Missouri Transportation Funding Formulas from the National Policy and Legal Analysis Network to Prevent Childhood Obesity (NPLAN). The analysis gives four specific policy changes the Missouri Network can work to implement, which will fundamentally change the culture of school transportation to encourage and favor more bicycling and walking, rather than disincentivizing bicycling and walking, as current policies do. The Action Team is now working to find the best way to refine and implement these changes. Low-Income Communities: In summer 2010 the Missouri Network also began an intensive research project to identify how SRTS is or is not currently serving low-income and minority populations. Initial findings indicate that both low-income schools and minority schools are not applying for and receiving Safe Routes to School funding in Missouri at the same levels other schools. The Action Team is currently working to identify and implement strategies to address this issue. School Siting: Recognizing that the location of schools within a community has a powerful effect on the ability of children to safely bicycle and walk to school, the Network is working with key contacts from the National Trust for Historic Preservation to develop a strategy for school siting Missouri. 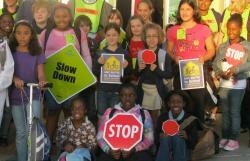 The above summaries list only a few of the highlights of the Missouri Safe Routes to School Network's work in 2010. Each of the twelve Action Teams has made significant progress in researching the current situation in Missouri, identifying specific action steps, and working to implement them. Donations to the Missouri Foundation for Bicycling and Walking help support the Missouri SRTS Network and are tax deductible. To find out more about the Network or join one of the Network's Action Teams, visit the Missouri SRTS Network home page. The Network's 2010 Progress Report is here. 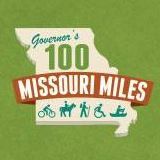 See the full list of Annual Reports on Bicycling, Walking, and Trails in Missouri from our Federation and Foundation. Read a series of articles on What MoBikeFed has Done for You over the years.